The electoral victory of Sweden’s centre-right coalition forces is a historic setback for the country’s once-hegemonic Social Democrats. The pain of defeat is sharpened by the electoral advance of the anti-immigrant Swedish Democrats. To find their way across this new political landscape the centre-left must learn to reconnect with lost voters and generations, says Mats Engström in Stockholm. In many parts of Sweden, wearing a peaked keps (cap) is a symbol of belonging to the “ordinary” people, in contradistinction to the political and economical establishment in Stockholm. Many young Swedish men from working-class families wear their caps with the peak towards the neck; their fathers prefer the way it always was, with the peak to the front. But if the generations’ style is diverging, what is going on under their headgear is converging: the historic ties of everyday Swedish men to the party that once commanded their loyalty - the Social Democrats - are loosening. The result of Sweden’s election to the Riksdag (parliament) on 19 September 2010 seems to confirm this shift, at once rational and emotional. The election was won by the centre-right Alliance for Sweden - headed by Fredrik Reinfeldt, Sweden’s prime minister since 2006. Renfeldt’s Nya Moderaterna (Moderates) took 30% of the vote, meaning it has doubled its share since 2002. The three other parties in the four-party coalition lost ground but maintained their position: the Centre Party (6.6%), the Liberal People’s Party (7.1%), and the Christian Democrats (5.6%). Together, the Alliance parties have 173 seats, just two short of a majority in the 349-seat Riksdag. The opposition Socialdemokraterna (Social Democrats) won 30.9% of the votes. This may still be slightly more than the Moderates, but even alongside its allies in the “red-green” coalition - the Miljöpartiet de Gröna (Green Party, 7.2%) and the ex-communist Vänsterpartiet (Left Party, 5.6%) - their joint 43.7% support is way behind the Alliance’s 49.3%. For the Social Democrats, which governed Sweden for sixty-five of the seventy-eight years since 1932, it is a successive bitter defeat. This overall result creates the likelihood that - unless there is some wholly unexpected reconfiguring of the parties in parliament - the centre-right Alliance will hold on to power. But it must be stressed that since there is now no clear governing majority in an eight-party parliament, the final shape of the next government remains at the time of writing unclear. But if the Moderates-led government indeed stays in power it will make this a historic election, for it would be the first time a centre-right government has achieved this feat in Sweden after serving a full term. But the election is also notable for the entry into parliament of the anti-immigration Sverigedemokraterna (Sweden Democrats) after they received 5.7% of the votes (far ahead of the 4% threshold needed to qualify for seats). Of the many stories in this election, the failure of the Social Democrats and the advance of the Sweden Democrats are the most striking. They are also linked. A detailed survey of voters’ decisions is awaited, but polls published before the election indicated that younger men in less affluent areas (and working-class people in general) were preparing to abandon the Social Democrats. The Sweden Democrats, though they took votes from the right too, were a beneficiary of this trend. The result amounts to an identity-crisis for a party that for long commanded Sweden’s political stage, and reveals a political problem for Swedish society as a whole. Two days before the election, I witnessed a visit by Thomas Östros to his old school in the industrial town of Västerås. More than a hundred first-time voters - including a good number of young guys with regulation keps - were gathered to hear this top-level Social Democrat and party spokesman for economic policy make his case, which he does in a way far from the technocratic image sometimes ascribed to him. Östros argues against the centre-right government’s policy of lowering taxes and social benefits, and in favour of lifelong learning that gives everybody a chance. Östros also talks about his personal history as the son of a quarry-worker and a cleaner. The free schooling he shared with all Swedish children enabled him to go on to university and later to economic research. When a girl asks about post-school education, Östros’s answer refers to the small university just a hundred metres away, built under the Social Democrats as part of a nationwide education policy. Even the boys at the back seem to be listening carefully. These individual careers may reflect the success of Social Democrat encouragement of social mobility, but the theme no longer seems to resonate with all industrial and service workers and their families. In the approach to election-day, staff at the Social Democrats’ campaign headquarters used among themselves a keps-themed slogan that similarly sought to connect the party with the interests of working-class Swedes: “Put on the cap”. The election result in the Västerås district of Råby, where Thomas Östros once lived, suggest that the message did not resonate: there, the Sweden Democrats tripled their support compared to 2006. The defection of some working-class voters from the Social Democrats to the Sweden Democrats is a phenomenon that links the issues of the economy, immigration, and social change. The face of Sweden has been transformed by immigration (see “Sweden’s changing”, 10 December 2009). Sweden is among the top recipients of refugees in the European Union in proportion to its population (the contrast with its neighbours Denmark and Finland is sharp); immigrants now compose 14% of Sweden’s population of 9.4 million. The established political parties have been slow in developing policies that can ease newcomers’ integration into the labour market, and addressing more general issues of social adaptation. This is a situation which far-right groups are eager to exploit by attributing social problems and discontents to the immigrant presence (with a particular focus on the “threat” of Muslim immigrants to the Swedish way of life). Sweden’s healthcare, transport and industrial production are to a large extent dependent for their functioning on low-paid immigrants. However, most public attention (including media coverage) tends to concentrate not on such “routine”aspects of a multicultural society’s life, but on issues such as the high levels of unemployment and violence in the suburbs where many people of non-Swedish background live. The conditions here are difficult: the employment rate for people coming from outside Europe is significantly lower than for those born in Sweden or other European Union member-states; school performances in poor areas with many immigrants are lower; discrimination against immigrants from the global south is common. Göran Persson, the Social Democrats’ last prime minister (1996-2006), stated that the social exclusion of immigrants was one of his government’s two main political challenges. But the party never implemented an effective strategy to improve living conditions in poor areas. Since the centre-right government came to power in 2006, social differences have increased further. This is in part the result of official policy: resources for healthcare have been transferred from deprived to more prosperous areas, and money designated for schools with many pupils of non-Swedish origin has disappeared even as more immigrants arrive. The established parties did not want to discuss immigration in the run-up to the election, out of fear that such a debate would favour the Sweden Democrats. A re-evaluation of this approach will be a key part of the post-election debate. The Sweden Democrats attracted voters from both the right and the left. 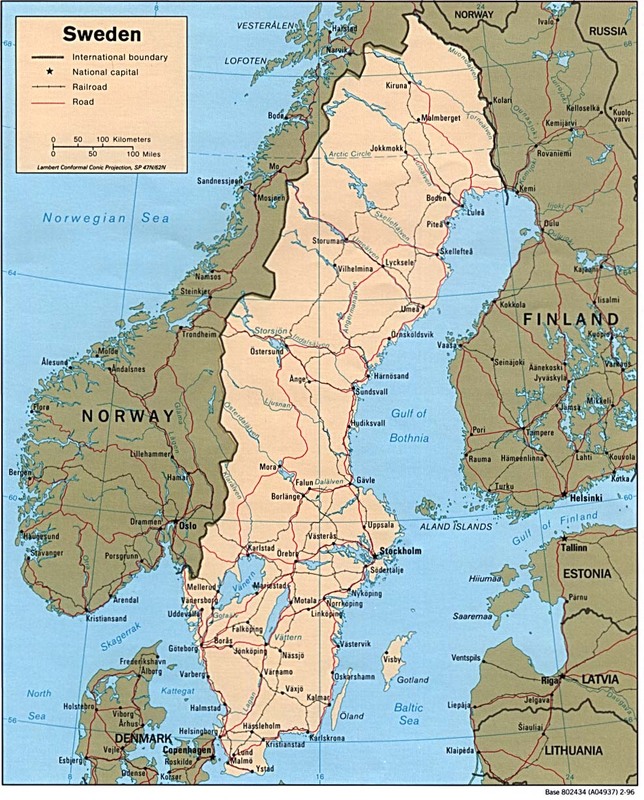 The group’s bastion has been the south of Sweden, where its support rose substantially in this election; but it also gained votes in some of the Social Democrats’ strongest footholds, such as the old industrial areas in central Sweden. This development resembles what has happened in other parts of Europe where populist far-right parties have made gains, and it poses a great long-term danger to the Social Democrats. Östros also suggests that the Sweden Democrats’ ability to recruit voters is helped both by an overall distrust in politics and a loss of confidence among some people that they will be successful in life. This combination of cynicism and social exclusion helps to fuel the Sweden Democrats’ growth (though it should be noted that the party also attracts middle-class voters). “There are groups of vulnerable people who can vote for them”, admits Östros. He blames the centre-right government for increasing social and income differences, but also acknowledges that such differences, and problems with social segregation, have existed for a long time. The Social Democrats’ failure in this election can also be measured by the fact that a substantial number of working-class men - their core political base - voted for the centre-right Moderates. This follows the breaking of another taboo by the party’s leader Fredrik Reinfeldt, who had before the 2006 election rebranded his conservative party the “New Moderates” (on the model of Tony Blair’s “New Labour”). Now, in 2010, Sweden’s prime minister dared during the campaign to describe his movement as “Sweden’s only party for workers”. Among some at least, it worked. Reinfeldt’s tax-reduction programme (amounting to almost £10 billion a year) may have benefited mostly the affluent, but the Moderates advance into the Social Democrats’ traditional base confirms that the party is no longer the automatic choice of working-class families. Irene Wennemo, a former senior trade unionist, writes in a post-election analysis in the newspaper Aftonbladet: “The Moderate Party has successfully exploited the fact that many people feel themselves to be workers at their job, but as middle-class at home”. The Social Democrats also lost support among urban middle-class voters, a trend already visible in 2006 which seems to have continued. The disappointment here is sharp, as the post-2006 renewal process launched by the party’s new leader Mona Sahlin to a large extent focused precisely on winning back these voters. This strategy led the Social Democrats to avoid proposing measures that might alienate this group (such as substantial tax-rises and restrictions on choice between different schools or healthcare centres). It did not work. The urban middle-class, heartland of the presumed more individualistic voters comfortable with public-service competition (introduced mainly by the centre-right), remained impervious to the Social Democrats’ appeal. In the post-election debate already underway, party figures such as Helene Hellmark Knutsson are saying that these reforms did not go far enough and the Social Democrats should carry them forward; others reject the notion that copying policies pioneered by the centre-right is the way to secure support from this group of voters. More broadly, the identity-crisis of the Social Democrats in Sweden - as in other parts of Europe - seems to be linked to the division between today’s new working class and urban middle-class voters in the context of a multicultural society (see Anton Pelinka, “Hungary’s election, and Viktor Orbán’s choice”, 15 April 2010). A political message directed towards the middle-class in the big cities does not seem to work, least of all for men in working-class families. Another common explanation for the poor result of the Social Democrats is that voters are used to the party being in government alone, and suspicious about the plan to form a coalition with the Greens and the Left Party. But the good performance of the centre-right is not owed solely, or even mainly, to the weakness of the Social Democrats. The credit belongs too to the success of prime minister Fredrik Reinfeldt in holding his four-party coalition together, in contrast to earlier centre-right governments. The opinion-polls also show a high degree of confidence in the key governmental figures (Reinfeldt himself, finance minister Anders Borg, and foreign minister Carl Bildt). whereas confidence in Mona Sahlin is low. Sweden’s public finances are in good shape, in spite of the financial crisis and high unemployment. This is to a large extent the result of the condition of low public debt the centre-right inherited when it came to power in 2006, though Fredrik Reinfeldt’s government is perceived to have handled the public finances well during the global crisis since 2007. Now, the Swedish economy is recovering quickly, with GDP growth projected to reach 4% in 2010. When economic conditions in other parts of Europe are still very uncertain, this has contributed to a reluctance among many voters to opt for change. What is surprising, however, is that an unemployment rate of over 8% has not led to a greater boost for the Social Democrats. Sweden’s voters have historically trusted the party’s ability to ensure high employment levels. But a change of sentiment in this respect was already apparent in 2006, when many Swedes reacted with astonishment to Göran Persson’s famous (or notorious) comment that unemployment was not a big problem. That helped the Moderates to establish greater credibility among voters on the jobs issue - a position they retained in 2010. This is a disaster for the Social Democrats. At the same time, the centre-right parties faced severe criticism for the government’s harsh reductions of benefits to the sick and unemployed. A number of people with cancer and other serious illnesses have even been forced to work, which has led to the government being portrayed as inhuman. The high level of sick-leave payments has been reduced, but there is often a high price for individuals here too. But among some voters there is also understanding or sympathy for reductions in Sweden’s generous welfare benefits. At Thomas Östros’s presentation in his old school, a young man asked why people should receive so high unemployment benefits. Doesn’t that reduce the motivation to find a new job? That kind of question might have a certain resonance among traditional Social Democrat voters where there is still a strong work ethic. Östros himself, from a working-class background, moved on to university and later to economic research. He knows and can explain why the Swedish model is effective from a macroeconomic point of view - because it has facilitated modernisation of the economy at a time of global change. But it is when he combines this argument with his own history that it becomes really convincing for the boys at the back of the classroom. There is still strong support in Sweden for the country’s welfare system. The Moderates were able to win the elections in 2006 only by pledging support for high-quality welfare and (by international standards) high taxes - and the same is true four years later (see “We still love the Swedish model”, 18 September 2006). In this sense the identity-crisis for Sweden’s Social Democrats is more one for the party than for its traditional values. Its ability to recover depends on whether it can persuade today’s young Swedish men - whatever their fashion in headgear - that Thomas Östros’s personal story is also relevant in a changing multicultural society.